On the surface, Kendall Robinson appears to be an average teenager. Her world is filled with Snapchat, listening to music and shopping at the mall near her home just outside of Atlanta. She and her friends love going to restaurants and exploring the city. She occasionally has a messy room to clean up and even gets her cell phone taken away from time to time. In 2015, what started as a simple volunteering effort at the Atlanta Community Foodbank turned into a movement that would benefit thousands. 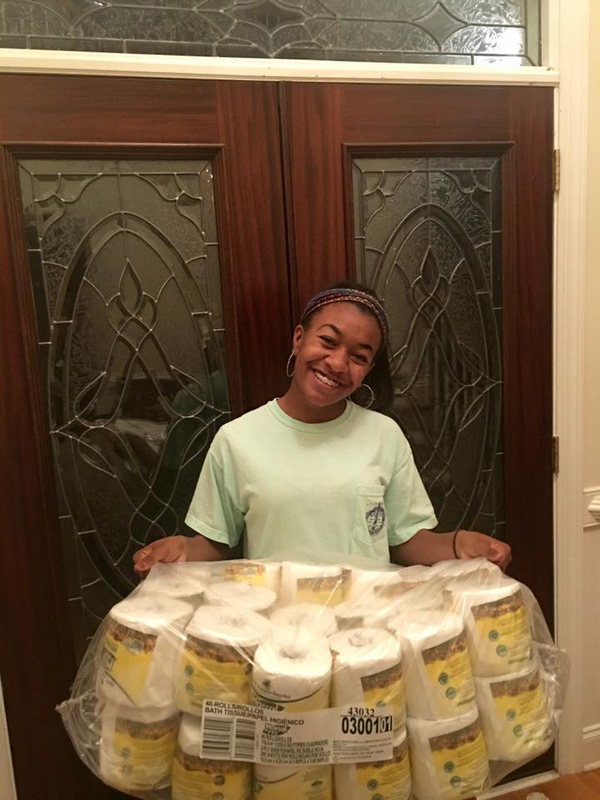 On an April day, Robinson found herself passing out toilet paper to homeless men and women. One man in particular was very appreciative of the item, and in passing told her something that made a profound impact on the then 14-year-old. On that day, ‘Love Rolls’ was born. The nonprofit organization is focused on providing toilet paper to the homeless community of Atlanta. Thanks to family, friends and social media, word quickly spread about the organization’s mission. Supplies came in such mass quantities, donated warehouse space had to be used to store the rolls. To date, more than 200,000 rolls of toilet paper have been collected. More than 60,000 rolls have been distributed to those in need, including the homeless and those affected by last year’s wildfires in Gatlinburg, Tenn., and the floods in Louisiana. “The amount of outreach we have garnered… it makes us hopeful and it definitely makes us realize that we are doing something to make a difference,” Robinson said. 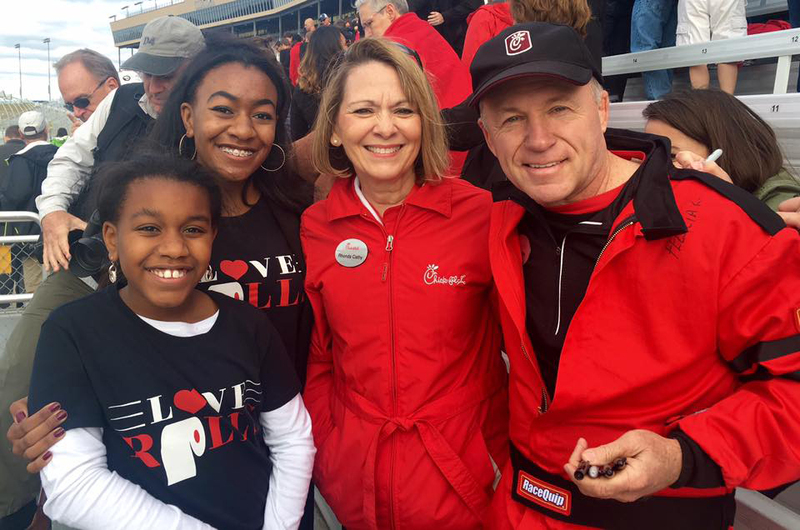 Support and donations continued to pour in from organizations big and small in multiple states, including Georgia’s own Chick-fil-A. 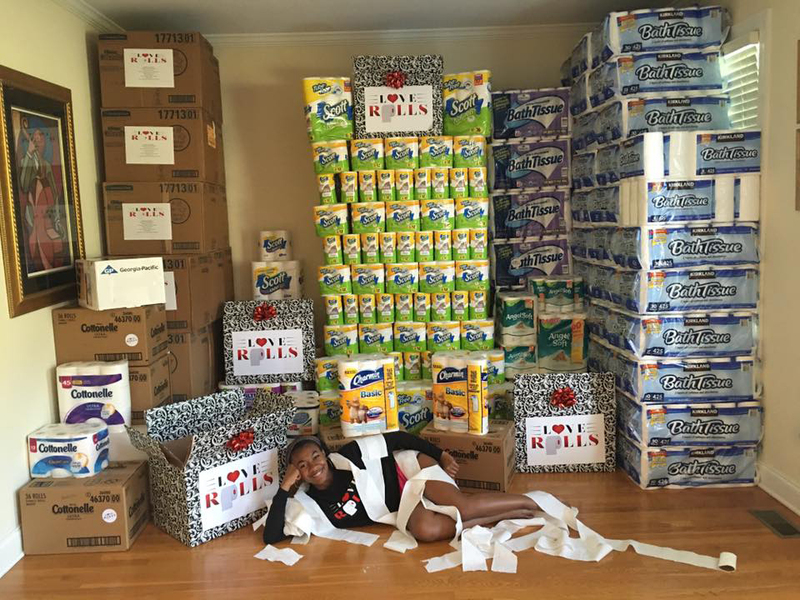 Not long after its inception, Love Rolls was selected by the Chick-fil-A corporate office as its featured community service project, donating enough toilet paper to fulfill the nonprofit’s needs for a month. And a local Atlanta restaurant supported a donation drive, passing out 300 sandwiches to homeless men and women. 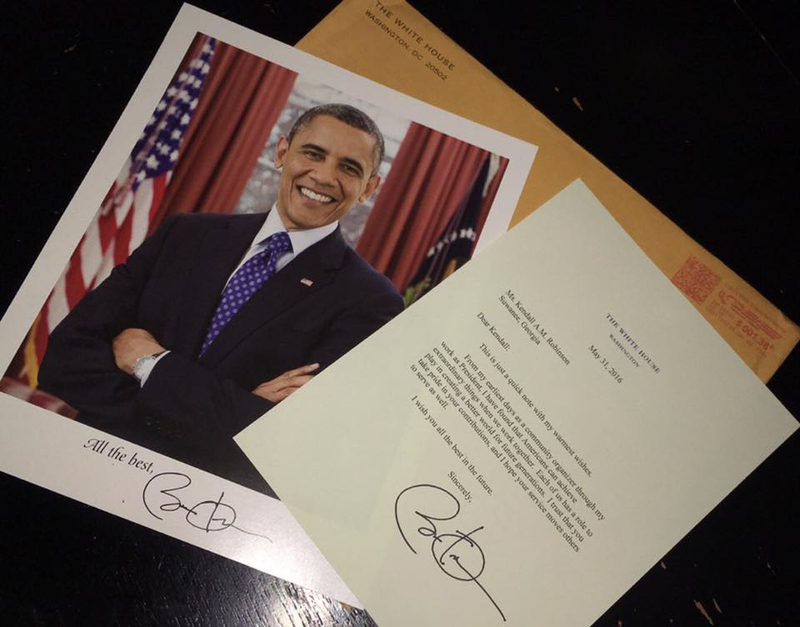 The list of proud people extends far beyond the teen’s family. 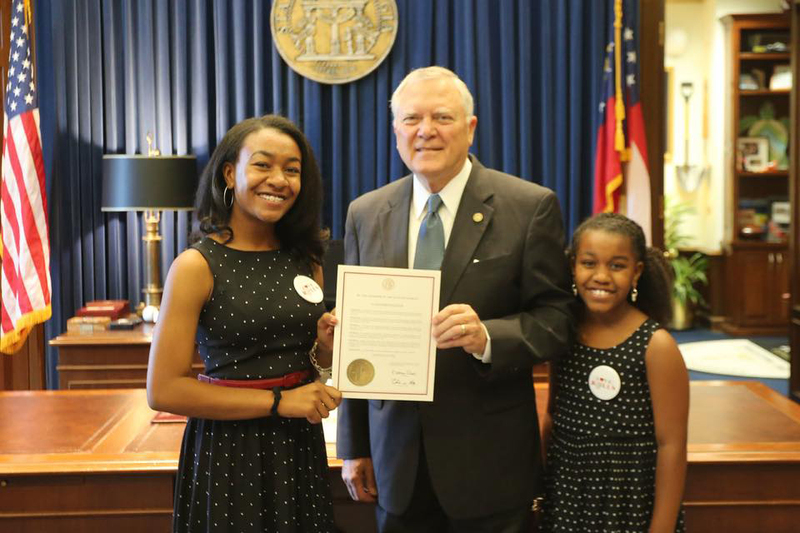 Her efforts have been acknowledged by President Barack Obama, Georgia Governor Nathan Deal and Georgia Secretary of State Brian Kemp. One of the organizations directly affected by Love Rolls’ mission is Mending the Gap Inc. The nonprofit focuses on addressing the needs of low-income seniors in the greater Atlanta area with the help of young people. Once a month, founder and executive director Fay Josephs and her staff provide bags filled with toiletries for a few hundred local seniors. “I will cheer for her every chance I get,” she added. After successful drives across Atlanta and Jersey City, N.J., there are plans to expand to Tampa, Fla., and San Francisco later in 2017. Even as college approaches, Robinson said there are no plans for Love Rolls to slow down anytime soon. When she moves on from high school next year she is planning for her sister, Kaylin, to fill her spot within the organization. Despite helping as many people as she has, the teenager has one regret. Robinson has no idea who the man who inspired Love Rolls is or where he might be.